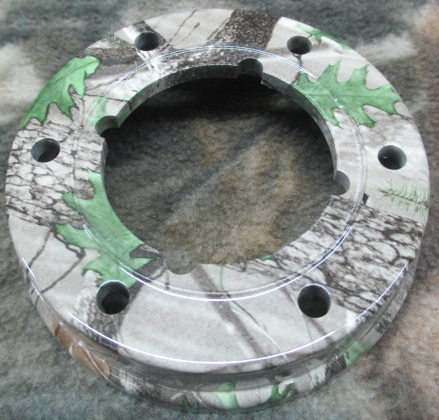 This is our green leaf timber camo double sided plastic pot. This is the same pot that we currently offer in green except it is a black pot with the camo on the outside. This pot accepts a 3.63" playing surface and a 2.25" or 2.5" bottom surface. We suggest a 3.25" soundboard for in this pot as well.